Through the years I’ve heard all kinds of “reasons” why business owners just “can’t” take care of their cash flow management. I call it financial headtrash…because, whatever the excuse, it’s not even HALF as bad as things will be if a business owner runs their business into the ground financially because they lack the discipline or tools to manage their cash flow correctly. Not managing cash flow correctly is 80% a behavior problem, and 20% a lack of a plan and tools problem. I’ve solved the lack of a plan and tools problem with a simple software solution; Cash Flow Mojo! One thing is a given; not having your finances in order can create a lot of worry and stress about money. Stress and anxiety are part and parcel of money problems but they disappear when you have the right tool – Cash Flow Mojo – and you actually USE the tool. Cash Flow Mojo is a deceptively simple but incredibly powerful software platform to use for planning and controlling the cash flow of the business BEFORE using a software such as QuickBooks to record the actions that planning dictated. QuickBooks is a recording tool. Cash Flow Mojo is a planning tool. Our cash flow management software is currently being used worldwide, in 28 countries, by small business owners. Please don’t let your businesses suffer from a lack of cash flow management. Test out this tool yourself and think about how you can actually use it to improve your financial condition. You even get complimentary group coaching with your subscription, and if you need it, we offer coaching on a weekly basis until you are confident you can manage your cash flow in the software without additional one-on-one assistance, or until that gnarly problem you have gets solved – that solves the “behavior” part of the equation. 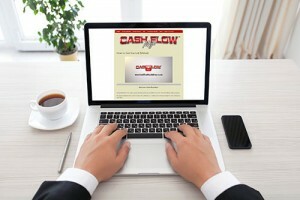 Go to: http://www.cashflowmojosoftware.com/. Get a 30-day trial of Cash Flow Mojo for $9.99 and USE IT so you can see for yourself how Cash Flow Mojo takes the PAIN out of money management and puts a business owner back in control – the way it should be. Do it today and see how fast you can get some peace of mind and an improved financial condition.